Josiah Hincks Employment Law Solicitors for Businesses can help your business with all employment matters, from drafting of contracts and handbooks, to defending Employment Tribunal claims. Our specialist employment lawyers will robustly fight your corner while providing you with the best advice for you and your business. 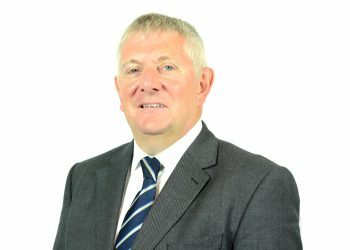 Andrew Eagle is the firm's Senior Partner. Brett is a Solicitor in the Litigation & Disputes team, based in Leicester. We are known for our practical approach to seeking the sensible and realistic solution to problem. As a result we can help guide you to the most satisfactory and realistic outcome taking into account your commercial objectives. As a business ourselves we understand the seriousness of personnel and employment related legal problems. This gives us the insight into the wider commercial implications of seeking a constructive outcome as soon as possible. Knowing the law is not enough, we know how to be sympathetic and understanding, to listen to what you want. We can also be tough however when we need to be. Our employment solicitors in Leicester can help you and your business with a wide range of employment law related matters. Why choose our Employment Law Solicitors? We recognise that a large proportion of our work comes from recommendations and satisfied clients therefore for our aim is to give the maximum level of added value service at competitive rates. We accept we may not be the cheapest but we pride ourselves on the quality of service. We provide clear and concise advice and ensure you are kept fully appraised throughout the transaction. 98% of our clients would recommend Josiah Hincks to friends, family and contacts. In 2018 Josiah Hincks was recognised by the Leicestershire Law Society as Small Law Firm of the year 2018. This award reflects the excellent service our staff offer its clients and brings assurance to those clients working with us that we strive for excellence in all we do. The stages set out above are an indication and if some of stages above are not required, the fees you need to pay may be reduced. You may wish to handle the claim yourself and only have our advice in relation to some of the stages. This can also be arranged on your individual needs. How long with the matter take? The time that it takes from taking your initial instructions to the final resolution of your matter depends largely on the stage at which your case is resolved. If a settlement is reached during pre-claim conciliation, your case is likely to take up to 4 weeks. If your claim proceeds to a Final Hearing, your case is likely to take as long as 12-18 months, although many simple unfair dismissal cases will be dealt with within a period of 4-5 months. This is just an estimate and we will of course be able to give you a more accurate timescale once we have more information and as the matter progresses. Our pricing for bringing and defending claims for unfair or wrongful dismissal is typically based on the Solicitors relevant hourly rate, which range from £195-300 plus VAT per hour. In our experience, the following range of costs may be typical in defending a claim for unfair or wrongful dismissal. These estimates are to take a matter from start to conclusion, taking into regard the steps of an unfair dismissal claim mentioned above. Disbursements are costs related to your matter that are payable to third parties, such as Tribunal fees and barristers costs. We handle the payment of the disbursements on your behalf to ensure a smoother process. Barrister’s fees estimated between £750 to £2500 per day plus VAT (depending on experience of the advocate) for attending a Tribunal Hearing (including preparation).